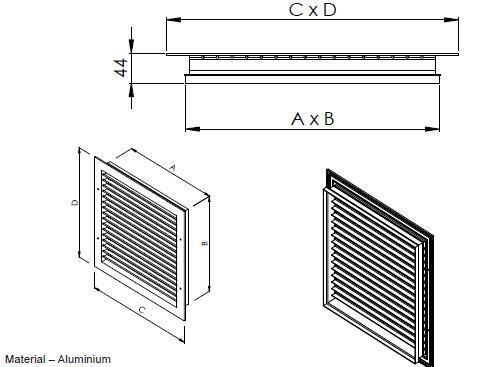 Single Deflection Grille - Please contact us directly on 0161 336 5065 for bespoke products not listed as we specialise in made-to-measure vents and custom designs. 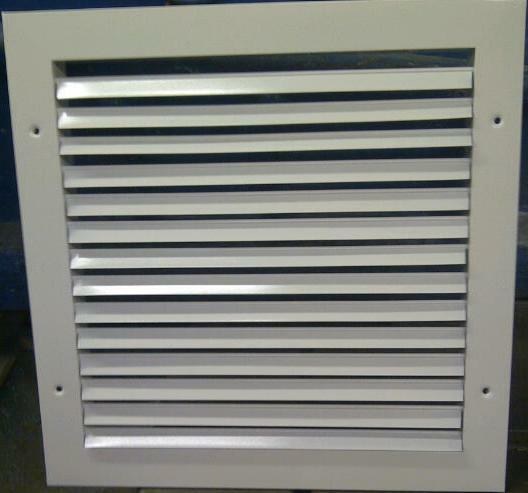 Single Deflection grilles are suitable for supply or extract in walls, ceilings and ductwork. 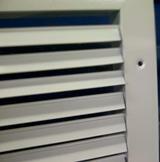 Our SDG range is a low cost aluminium grille with adjustable blades. 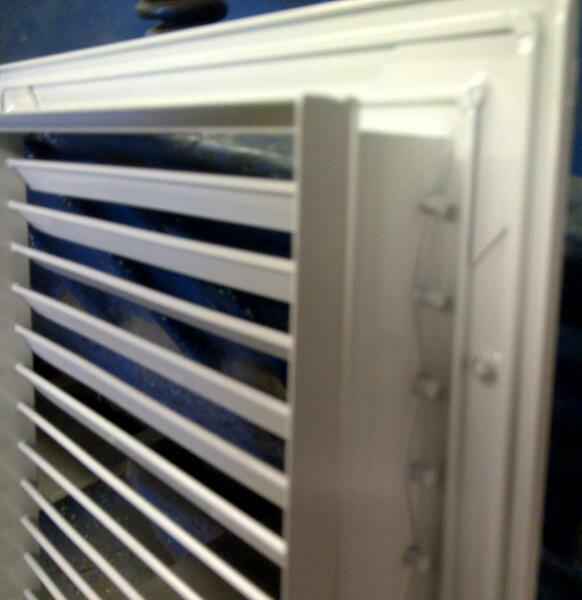 Incorporating a single bank of individually adjustable blades, Single Deflection grilles are a step up from supply units like air valves. Able to handle much larger air volumes, and with the adjustable blades enabling throw to be directed anywhere in a single plane. With an aerodynamic design creating minimal turbulence, the fully extruded aluminium blades of Single Deflection Grilles allow throw adjustment, whilst keeping noise and pressure drops to a minimum. When being used for extract this results in the advantages of being able to handle greater air volumes. Please contact us for bespoke options. 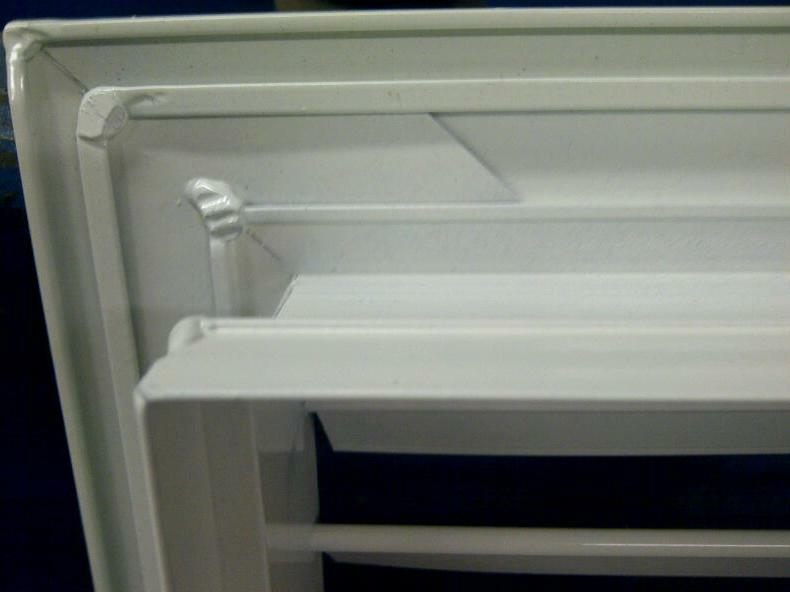 Fabricated entirely from extruded aluminium. One row of adjustable blades set within a frame. Blades held in place with high tensile spring wire and starlock washers. For size including flange, add 50mm to width and height. Opposed blade dampers are available to suit your product.